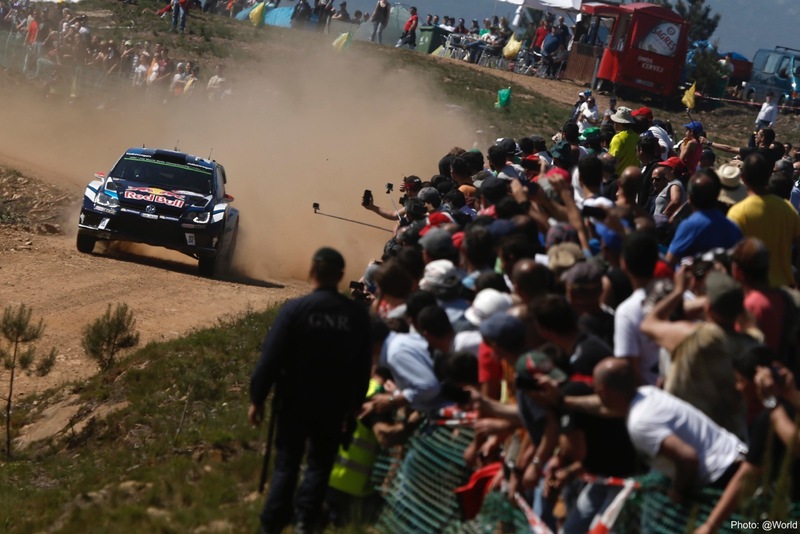 A dramatic opening, with Volkswagen well-placed for the rest of the rally: Sébastien Ogier/Julien Ingrassia (F/F) and Andreas Mikkelsen/Anders Jæger (N/N) are second and fourth in the Polo R WRC after the first third of the Rally Portugal. 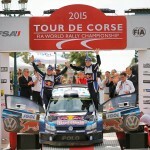 With the route placing huge strain on the cars, both duos paced themselves intelligently on the first day of round five of the FIA World Rally Championship (WRC). With two day remaining, they are currently 31.9 and 52.3 seconds behind overall leaders Kris Meeke/Paul Nagle (GB/IRL, Citroën). Incidents came thick and fast on Friday afternoon of the Rally Portugal, with each of the manufacturers involved in the World Rally Championship suffering set-backs. 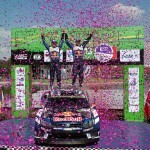 Volkswagen duo Jari-Matti Latvala/Miikka Anttila (FIN/FIN) struck a hole on the extremely demanding fifth stage – “Ponte de Lima” – which broke the power steering and led to the Finnish pair losing 45.6 seconds. They ended the day in ninth place, still in the top ten thanks to a truly remarkable effort. … “Professors” Jose Azevedo and Rui Cabeda. For a day, at least. The two Portuguese Volkswagen mechanics were on hand to answer questions during an open lecture to an audience of about 300 at the university in Guimarães. At the invitation of Red Bull Portugal, they offered an insight into everyday life in the FIA World Rally Championship (WRC), provided technical information and explained presentation objects – dampers and brake disks from the Polo R WRC. After the theory came the practical – the Rally Portugal, in their more familiar roles as mechanics for Jari-Matti Latvala and Miikka Anttila.